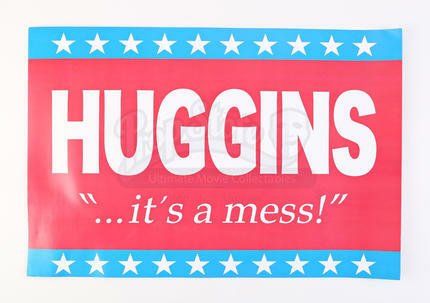 A Huggins campaign poster made for the satirical political comedy The Campaign (2012). The film follows two rival political candidates battling it out for the North Carolina District Senate. 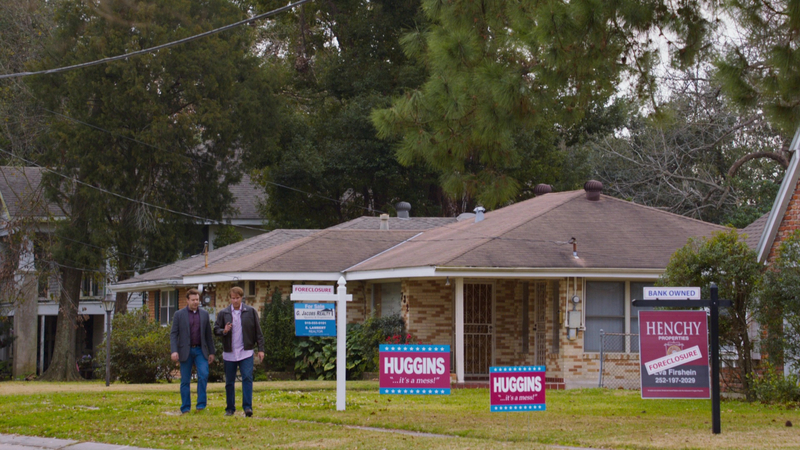 Pamphlets were given to attendees of the debate between Huggins (Zach Galifianakis) and Brady (Will Ferrell) in the film. 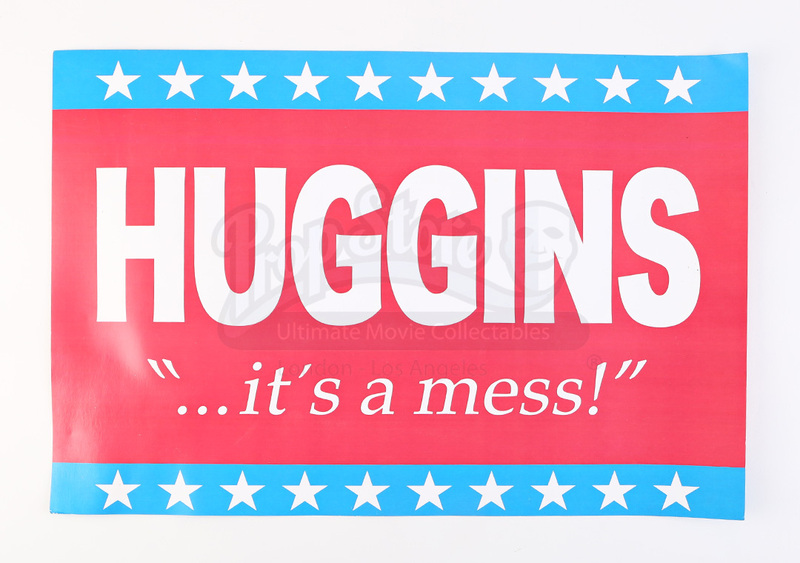 Campaign posters such as this were made for supporters of Huggins in the film. 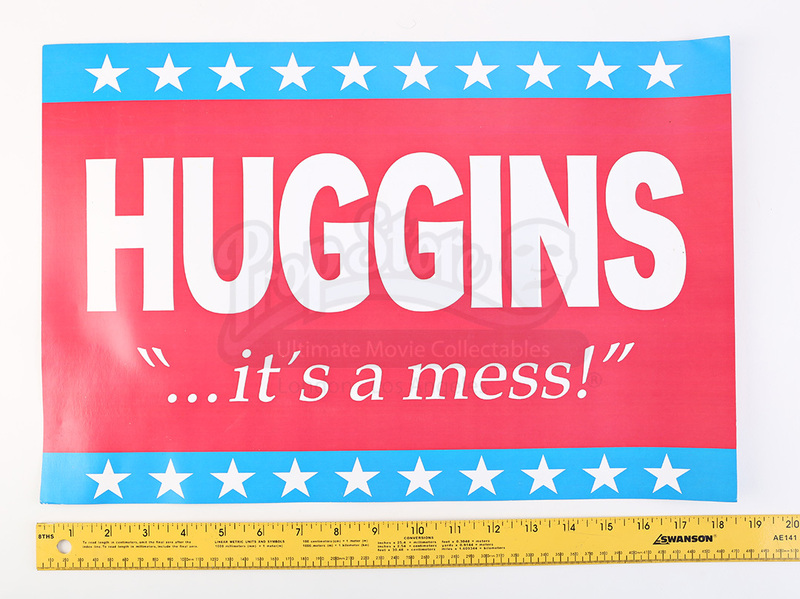 Made of thick paper, the poster features Huggins' name across a red, white and blue background along with his campaign slogan "...it's a mess" printed on each side of the poster. The poster shows some wear from storage and age, but it remains in good overall condition. *Please note: Production wear may vary from product seen in photos.